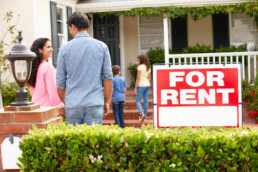 Renting your properties is a great financial move on your part. But is your property insured properly in the case of an accident or unforeseen circumstance? Or worse, is your property insured under a homeowners insurance policy—which isn’t applicable if the property is not owner occupied? If you answered yes to these questions, don’t panic. Harrah and Associates offers rental property coverage for the structure, separate structures on the property, personal property you have inside the house, a sudden loss of rental income and liability, as well as medical expenses if the tenant experiences an accident. If you’re worried about cost, rest comfortably knowing that rental insurance is typically much less expensive than homeowners insurance—when you find the right coverage. Contact Harrah & Associates to help you find that coverage. Let us quote, compare and save you – time and money. Simply call us or fill out the free quote form to start protecting your investment.